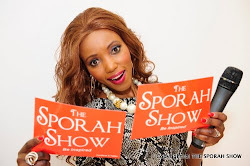 SPORAH TV: A MODEL WHO ASPIRES TO BECOME A MENTAL HEALTH NURSE.! A MODEL WHO ASPIRES TO BECOME A MENTAL HEALTH NURSE.! Jennifer Litanda Lutu wears the crown reserved for the most beautiful Congolese girl in the UK, fully aware of the responsibilities bestowed on the crown bearer. Jennifer, 17, lives in South Acton (West) and studies Health and Social Care BTEC Level 2 at Tower Hamlet College. She says that she chose to study Health and Social Care because she loves caring for and helping the people in need. Jennifer would like to become a Mental Health Nurse. Her dream is to go to her native Democratic Republic of Congo and help put things in order. She would like to help the homeless, get all the kids to school and also help people with health problems. ennifer is appealing to all Congolese who love their country to unite and come up with concrete plans to help the country overcome its major challenges. While Jennifer enjoys all different types of food, her favourite foods are Congolese Ntaba and Kwanga, Ngai ngai, Pondu and steak. Jennifer, who is also a dancer, says she chose to become a model because it is a dream she has always had since she was a child. She has been modelling for about a year. Jennifer feels fulfilled to be a model because she has achieved one of her dreams in life. SPORAH MEETS THE WINNERS OF MISS CONGO UK 2011. Sporah talking to the winners of Miss Congo UK. 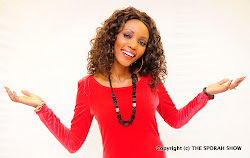 Jennifer was crowned Miss Congo UK 2011 on 1st July 2011 in London. “I was shocked, speechless and actually didn’t believe it. I thought they made a mistake. I didn’t expect to win to be honest,” she says. Miss Congo Beauty Pageant UK aims at raising awareness about sexual violence women of all ages undergo in the Democratic Republic of Congo. As the Miss Congo UK 2011, Jennifer has the role of raising awareness about the violence perpetuated against women in the Democratic Republic of Congo. She also helps raise funds for poor women and children back home, in addition to being a role model for the young Congolese in the UK. 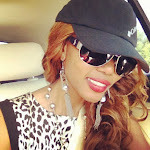 Jeniffer is beautiful inside and outside., go and get them girl! Sporah nimechek show yako leo Star tv, nimeipenda sana, inafundisha vitu vingi na hasa wale warembo uliokua nao, MH! Nimeangalia leo show yako hapa Star tv ukiwa unaongea na mdada mwenye circle cell. Asante kwa kutuletea show nyumbani.